Hi. 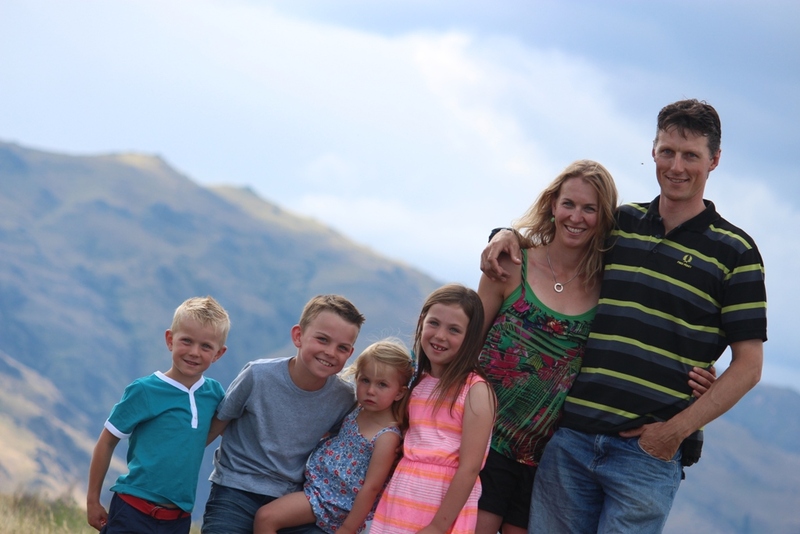 My name is Camille, the Central Otago Active Mums trainer/operator and mum to 4 children. I have been involved in the fitness industry since completing my Bachelor of Physical Education degree in 1998. My involvement has been as a Personal Trainer and Exercise Consultant for my own business, a Team Fitness Trainer, Programme Manager of the Certificate in Personal Training at the Sports Institute of Otago, as a Recruitment and Training Director for NZ Institute of Health and Fitness. In 2013 I opened my own fitness centre in Alexandra and have since become a certified group fitness instructor in Les Mills RPM, CX worx and Tribe Team Training. Alongside this I have played top level netball and now enjoy participating in road cycling, multisport, watching my kids play sport and getting out and about on the Central Otago Rail Trail. Having had 4 children I have experienced the benefits of staying fit and active throughout all of my pregnancies. However finding time to exercise does get more difficult and made me aware that this is a very common barrier to helping mums get back into shape and into a regular exercise routine after they have had a baby. Suddenly every focus and extra time is given to your family and there seems to be less for yourself. That is why I am pleased to be able to offer Mums in Central Otago an option to exercise and be educated on health and wellbeing alongside other mothers, mums-to-be and with their babies and toddlers. Removing the barrier of needing to find child care and allowing mums to bring along their young ones while they exercise is a huge part of the success of Active Mums. Bring your kids with you to all sessions the place is set up for kids to play around us while we workout. Mums in Motion Beginners Postnatal - an 8 week course focusing on abdominal and pelvic floor rebuild and repair. Contact me for details on next start dates. $120 for 8 weeks and Classes are run at PT Central in Alexandra. Groups in Action Advanced Postnatal - 45 min class for Mums, varies each session from circuit to boot camp style workouts. A functional workout where mums are encouraged to bring along their babies as we often involve them in our workout!